October is National Breast Cancer Awareness Month, and for customers who shop for their home, farm and outdoor needs at any of 41 Runnings locations in seven states, the annual Ladies Night is linked with a special cause. 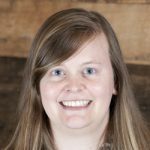 The event has run for nine years, and this year, the company has chosen to do something a little different. 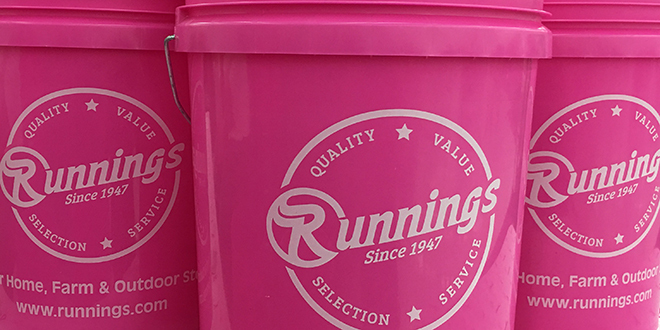 In previous years, Runnings stores in Minnesota sold pink company-branded buckets for $2 each. Customers received 15 percent off all the items they could fit in the bucket. For each bucket sold, Runnings donated $1 to breast cancer benefit organizations in each store’s local area. This year, Runnings stores all over the country participated in the annual fundraiser, says Dennis Jensen, director of marketing and e-commerce for Runnings. Jensen says donating to local organizations is a crucial part of the fundraising event. Since the event began, close to $100,000 has been donated to awareness organizations. “What’s really important is that we’re a grounded organization that’s community involved,” he says. “It’s important that the funds stay in the communities where we serve.